If you’ve never welded before, start here for information about the different welding types and pros and cons of each. 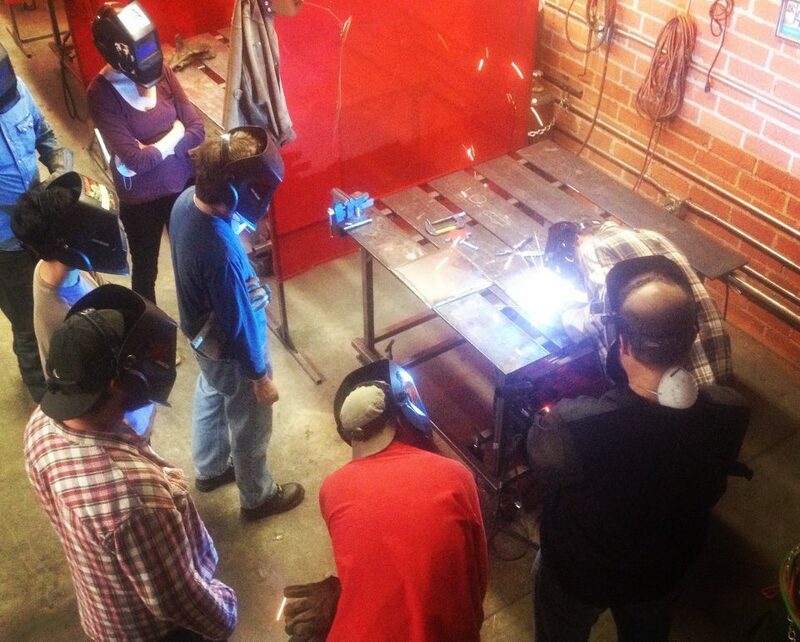 The main intro class for learning to weld. It’s a 6-hr class covering welding, grinding, and bandsaw technique. Class Details: Class runs on Sundays and most Wednesdays from 9am-3pm, with a break for lunch. Instruction fee is $90, shop and materials fee is $110 (total $200). Requirements: There are no prerequisites for this class. Standard clothing. Special promotion: Bring a Friend. Sign up with a friend/spouse/coworker/archnemesis and get $20 off each person’s registration. Must sign up together, under one payment, to get the deal however. Instructions on how to sign up two or more people (it’s more complicated than it should be, sorry, but this link opens in a new window for reference). Class Details: Class runs 3 hours, about every other Friday night. Instruction fee is $45, materials and shop fee is $45 (total $90). Bring a Friend Special: sign up together for $160 ($80 each). Instructions on getting the deal here. Six students max. Requirements: No experience or prerequisites required. Standard clothing. Welding with TIG is a lot like driving a Ferrari: it’s precise, powerful, and difficult to do really well (except I haven’t driven a Ferrari). It requires the use of both hands and one foot and expensive machines. But it’s worth it. 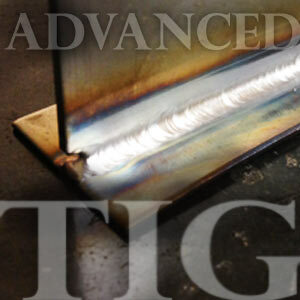 With TIG you can make beautiful welds on steel, stainless, aluminum, chromoly, bronze, copper, titanium, magnesium–you get the idea. Class Details: This class runs for 6 hrs, about every other Friday, 4-10pm. Instruction fee is $120, materials and shop fee is $130 (total $250). This class also comes with an open shop session for 4 hours to continue practicing your technique and a pair of TIG welding gloves. Class Details: This class happens twice a year, April and October. Cost is $45 for the instruction fee. Kits containing many of the discussed chemicals will be available for sale for $50 each, purchasable day of class (not required). We will primarily be using sculpt nouveau patinas, so if you want to do some research beforehand, take a look at their site here. Requirements: No experience or prerequisites required. Learn to Oxyacetylene weld and use this civilized technique to create sculpture. What’s so civilized about it? It’s a visually beautiful process and really powerful, using the same tool to make gorgeous welds, bend smooth curves, and then cutting through 1″ plate. Class Details: Six session class. Instruction fee is $180, Materials and shop fee is $280 (Total: $460). Six students max. Note about wait lists. Requirements: No prerequisites or experience required. Standard clothing. 18 or older or instructor permission. Class Details: Six session class building five different kits emphasizing different mechanisms each week (four are take-home). Instruction fee is $210, Materials and shop fee is $250 (Total: $460) Note about wait lists. In this six week class, were going to make like Alexander Calder and make some mobiles. Either big or small, up to you, but we’ll build them big or small using a variety of hot and cold tools. There will be jigsaws for curvy cuts, jump shears for straight cuts, band saws for not-so-curvy cuts, and expert advice for short cuts. Class Details: Six session class building three instructional mobiles and one personal project. Project materials for most projects under 4′ are included in the materials fee. Instruction fee is $210, Materials and shop fee is $240 (Total: $450) Note about wait lists. Gotta get handy real quick? 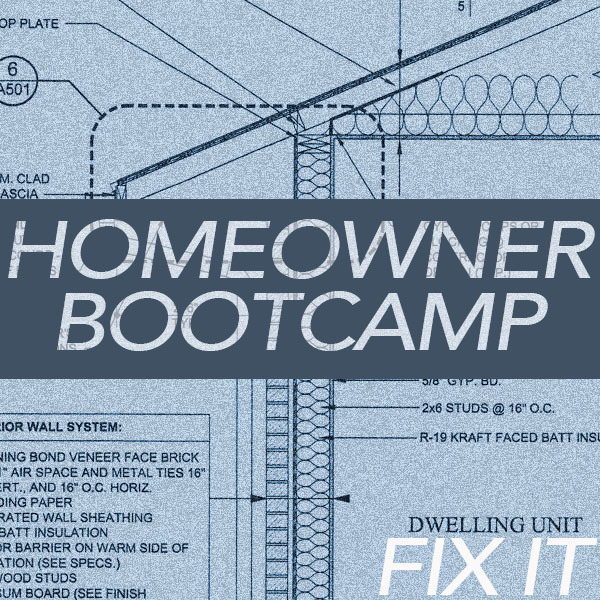 Come learn the basics of repairs that you’ll need to know when you’re owning a house (or needing to make repairs on a rental). We’ll go through the the minimum tool arsenal every one should own, their use, and then use that tool kit to make our repairs. Class Details: 6 session class. Instruction fee is $180, consumables and shop fee is $140 (total $320). We will give you a tool list on the first class and you can learn to use that tool kit in class (you are not required to purchase this set, but you’re probably going to want these basic tools anyway. Tool kit price range of $150-400 (depending on economy or first class tools). We’ll then use that tool kit for the rest of class. Note about wait lists. Requirements: Ages 14 or older. Minors must sign up with a participating parent (or guardian) and sign up for two spots. Standard clothing (though short sleeves okay). 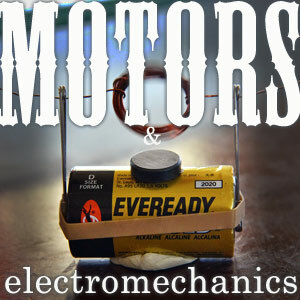 (6) 3hr classes covering electronics, motors, and all sorts of electro-mechanical systems. We can get technical and geek out over math, but it’s not required. Class Details: Six session class covering basic electronics and how a bunch of those little do-hickeys work, what LED stands for, and how to drive junk motors and make crazy sculptures move. Instruction and Materials fee is $405. Limit of six people. Note on waitlists. Prerequisites: There are no prerequisites for this class. No welding in this class, but we will be using soldering irons. 18 or older or instructor permission. (1) 3hr class teaching you to use the free Google Sketchup Make design software. Whether or not you can draw, designing in 3D can be tricky. Sketchup helps you figure out what your furniture will look like before you build it, so you can decide whether 1” square tube or 1.5” square tube will look better as a table base. In this one-night class, we’ll show you the basics for how to get from a napkin sketch of a table to a 3D rendering of that table in your living room. Note: this is a different class that our CNC plasma cutter class. This one will help you with Sketchup basics, but we will not be making cut-ready files. Class Details: Instruction fee is $75. Limit of eight people. Hooray, the CNC plasma class is back with a three session class taking you through basic design with Fusion 360, exporting to a cuttable .DXF file, cutting it on the plasma cutter, and finally, welding it all together into a pendant lamp or lamp shade.Class Details: 3 session class making 1 lamp shade (12″ x 12″ x 12″ approx). $200 (class fee) + $75 (materials and shop fee) = $275. Six students max.. Requirements: No experience or prerequisites required, but you’ll get more out of the class if you have some welding experience (Intro MIG recommended). Laptop running the latest version of Fusion 360 MUST be installed prior to the first class. 3-button mouse required. $7 on Amazon. The world is full of scrap, junky metal that could be transformed into gorgeous, fine art sculpture furniture treasure (if only you knew how). Well you bring the metal and the eye for finding such pieces, and we’ll bring the know-how to cover how to join your metal, whether that’s with cold connections: JB weld, rivets, wire wrapping, tap-and-die; or with hot connections: mig welding, spot welding, brazing, soldering….etc. Oh there’s a world out there awaiting, and we’ll show you how to do it safely and securely. Class Details: Single session class. Instruction fee is $60, Materials and shop fee is $15 (Total: $75). Eight students max. Note about wait lists. Combine woodworking and metalworking together in these multi-session classes where we will guide you through building some really beautiful projects, by partnering with our neighbors Community Woodshop. 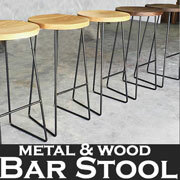 (2) 3-hr classes to build a beautiful stool using welding and woodworking. Class Details: $150 (class fee) + $125 (materials and shop fee) = $275. Six students max. 18 or older. 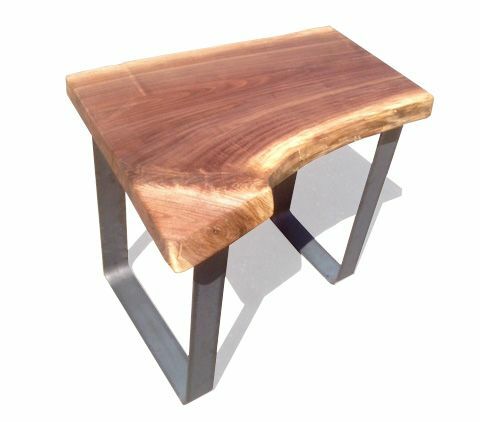 (4) 3-hr classes to build a modern classic steel and walnut table. 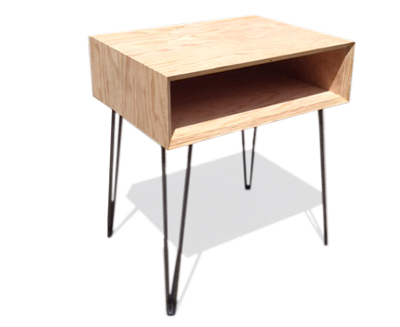 (6) 3hr classes to learn how to design and build your own piece of furniture. Class Details: 6 session class, offered about every six weeks at rotating times. Consumables and shop fee is $195 (Total: $405) Class price does not include material for your project (so you can make it however big or small you’d like). Six students max. Note about wait lists. Requirements: Must have taken Intro MIG to cover MIG welding and grinding technique. Standard clothing. 18 or older. Class Details: Instruction fee is $80, materials fee is $100 (total $180). Six students max. Happens about 4 times/year. Standard clothing. Requirements:Must have taken intro MIG class to cover welding and grinding technique. Class Details: We will first practice welding on scrap, then we’ll get to building your beast. Select your base design and material thickness here. From the base design, you can customize it–add in a foot rail, a grill for cooking, or even plasma cut in your fancy details. Instruction fee is $60, material and consumables fee is $170 (total $230). Add $40 for 3/16″ steel. Requirements: Due to the high heat and welding positions involved in this class, students are required to wear head cover (baseball hat or bandana will work) and thick sleeves (flannel and up will work), in addition to the standard clothing. Helmets, gloves and heat shields will be provided. Participants must have taken Intro MIG. 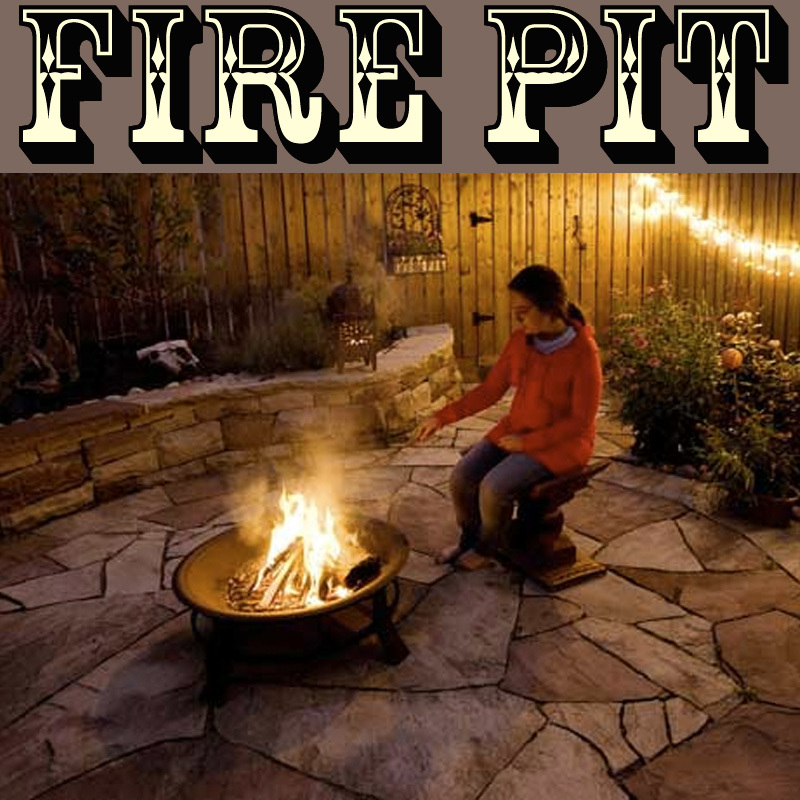 Instruction fee is $210, Consumables and shop fee is $195 (Total: $405) FIRST RUN PRICE $350 Class price includes steel and a pump for your project under 2′ (but if you want to make a garden geyser go ahead). Six student max. Note about wait lists. 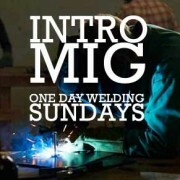 Requirements: Intro MIG is a prerequisite for this class, so that we can get to welding and grinding on day one. 18 or older. Standard clothing. In this 6 week course, you’ll learn the basics of bumper design and construction, work with up to 5 other students as a team to build a bumper for a Toyota Tacoma, and then design and construct your very own bumper. Class Details: Class is generally six Saturday mornings starting in July. Instruction and Materials fee is $340. Materials fee covers consumables and team-build bumper, but does not include materials for your own bumper. Additional material costs will vary depending on a number of design factors, but generally range from $100 to $250. Additional open shop time may be required for more complex designs (not included). Class happens once per year. Note on waitlists. Prerequisites: Participants must have taken Intro MIG. Standard clothing. 18 or older. (3) 3hr classes to learn the rules of design and the laws of LA for designing, building, and installing a gate. Note: This is a hands-on class, but we will not be building your individual gates during this class. Instead, we’ll show you how and talk through your designs so you can learn how to proceed (the building is not the hard part). Afterwards, you can build your own gate during open shop. You can make it simple or complex, modern or medieval. And if the three class sessions aren’t enough, Imerio will be available for private lessons and site-visits to help you figure out how to get your gate got. Class Details: Class will run on 3 consecutive Tues nights, 7-10pm. Instruction and materials fee: $180. Materials for shop project are included. Materials for personal gate is not (allows you to make whatever you want, estimating about $1.50/linear foot of steel tube). Class limit of 8 people. Note on waitlists. Class Details: 3 session class. Instruction fee is $120, materials and shop fee is $120 (total $240). Happens about 4x per year. Requirements: Due to the high heat and welding positions involved in this class, students are required to wear head cover (baseball hat or bandana will work) and thick sleeves (flannel and up will work), in addition to the standard clothing. Helmets, gloves and heat shields will be provided. Participants must have taken Intro MIG. Intermediate MIG is not required as a prerequisite, but you should remember our circle technique from day 1. 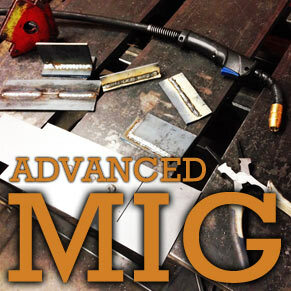 A six-session class to get you making quality welds on the three major metals: steel, stainless steel, and aluminum. We’re going to spend two nights on each material. First class each week covers the technical details: how to set up the machine, technique, metallurgy. Second night is practice, practice, practice. Class Details: This class will run about 3-4 times per year , alternating sessions of teaching and heavy practice. Instruction fee is $240, materials and shop fee is $360, total $600. Reduced price of $540. Five students max. Note about wait lists. (6) 3hr classes learning a variety of sculpture techniques in an art school-styled class with critique and discussion using both Oxyacetylene and MIG welding. Class Details: Class cost is $180 instruction fee, $225 materials and shop usage fee. Materials for personal project budgeted at $50, with students responsible for overages. Ages 18 and older. Class limit of six. Requirements: Oxyacetylene sculpture required. Intro MIG is recommended but not required. Ages 18 or older, or permission of the instructor. Learn to build your own cro-moly lugged bicycle frame, road, mountain, fixed, or fixed mountain (you beast). Class Details: 6-session class. Shop consumables included in price, but frame materials (extra solder, lugs, tubes, dropouts, etc) are not. Instruction Fee: $240, Materials and Shop Fee: $220 = $460. Max of four students. It’s BACK!!! Complete the requirements for the new BSA Welding Merit Badge in this one-day, 4-hour class introducing the basics of MIG welding, safety involved, and careers and applications of the technology. You will weld. It will be awesome. (If you do your homework) you’ll leave with a completed blue card same day. Class Details: (1) 4-hr class, from 1-5pm, on Saturday, 10/6/18. Ages 14 or older.